A modern, fluid and flattering silhouette, the Long Silk Slip Dress is made from our much-loved 100% lycra Charmeuse silk blend, which is softer then regular silk, insanely comfortable, elegant and curve skimming. Perfect paired under our Silk Robe or Kimono. A GOOD CAUSE: With every purchase you donate $1 to She's The First, a charity that empowers girls from low income countries through education. 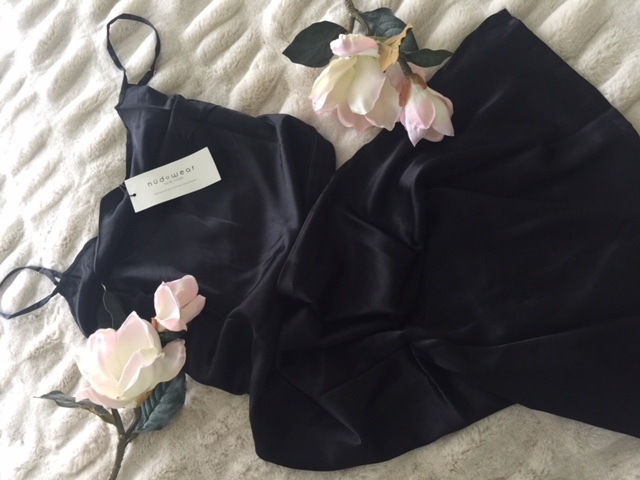 Just received my first Nudwear purchase (long slip dress in black) and I will definitely be ordering this in every color. I ordered a Medium - the fit is comfortable and the length is good (I'm 5'4'); the material is wonderfully soft and gorgeous. Sleeping in it felt like sleeping in a silk cloud! Love love love it.